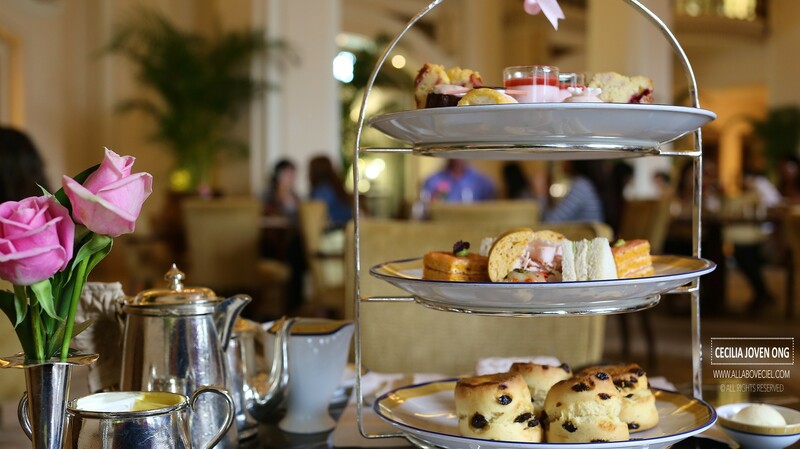 The exquisite Afternoon Tea at The Lobby of that iconic Peninsula Hotel is amongst the most talked about in Hong Kong and it is one of those places that you have to visit at least once in your life. As a frequent traveler to Hong Kong, this has always be on the top my must-visit list but I have not get to do so. 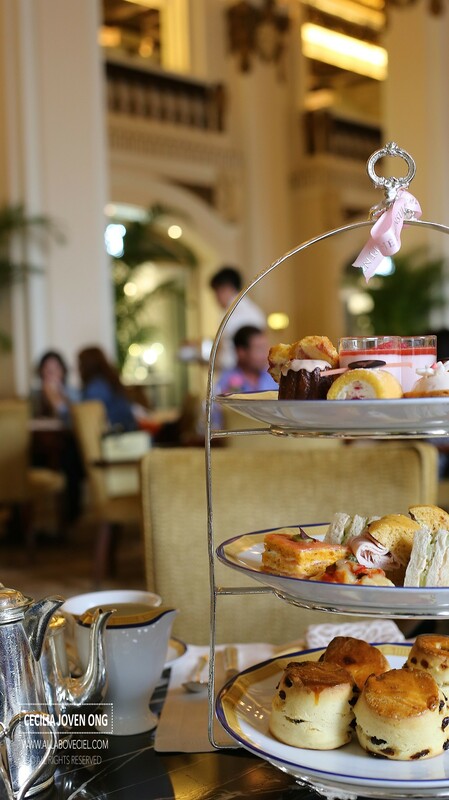 The high tea is served daily on the first-come-first-served basis, which means they do not accept reservation. It advisable to be there at least 30 minutes to join in the queue in order to be seated when it starts at 2.00 pm till 6.00 pm. The price per person is at HKD $358+ and HKD $628 for 2 persons. 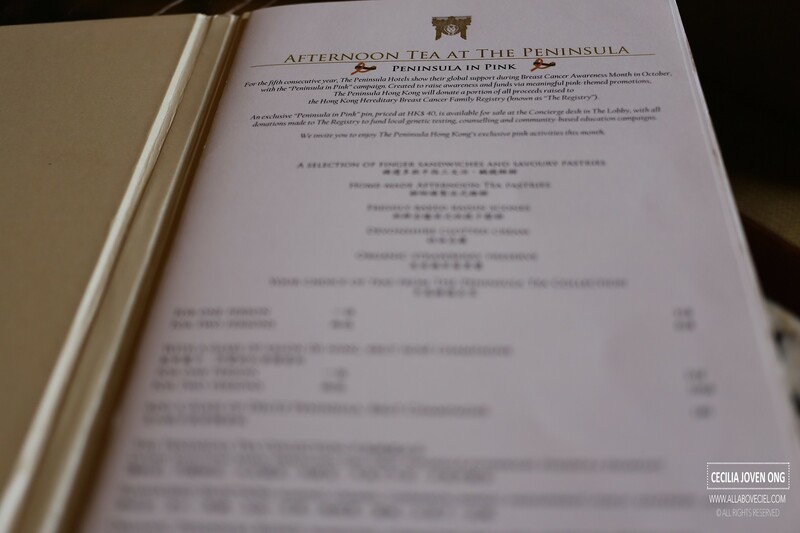 You have the option to add a glass of their special champagne to your tea set at HKD $180. 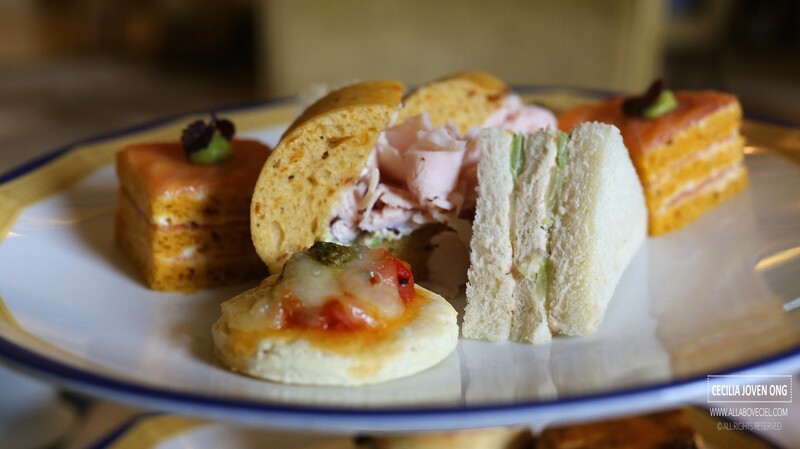 The Afternoon Tea consists of a selection of finger sandwiches with savoury pastries and their homemade pastries that are specially for the Afternoon Tea. 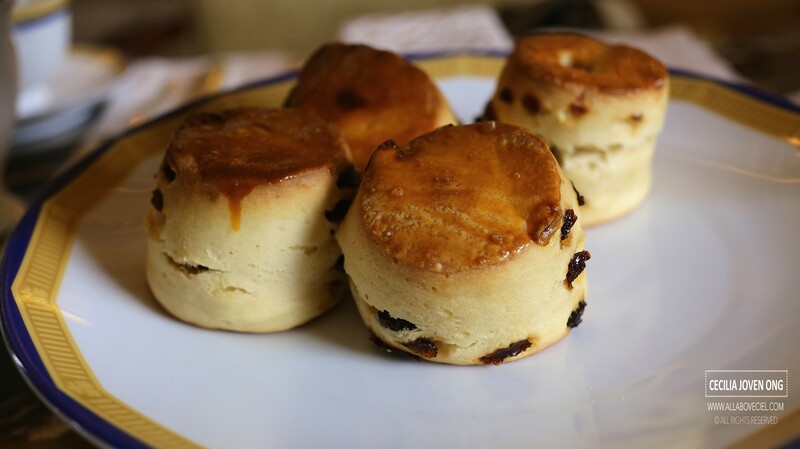 It also includes their freshly baked raisin scones served along with Devonshire clotted cream and organic strawberry preserve. 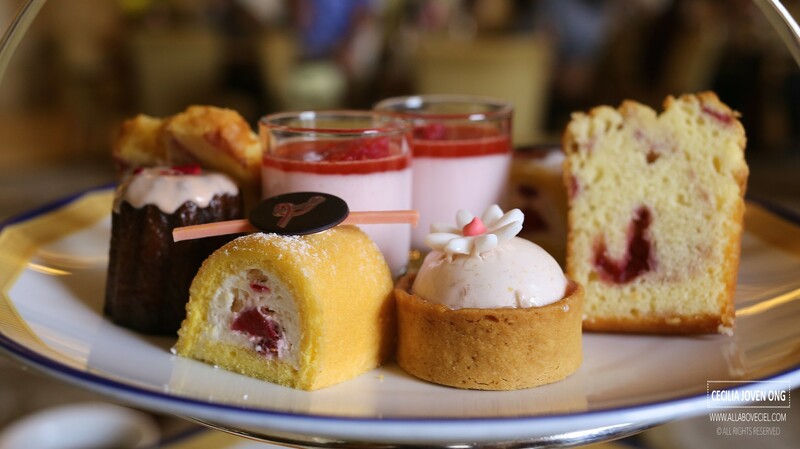 You are then expected to choose your choice of teas from their tea collection. Please bear in mind that attire is strictly smart casual and that includes no sleeveless shirt for the men. Also, to take note that no flip-flops, beach sandals and plastic footwear like Crocs shoes are allowed. 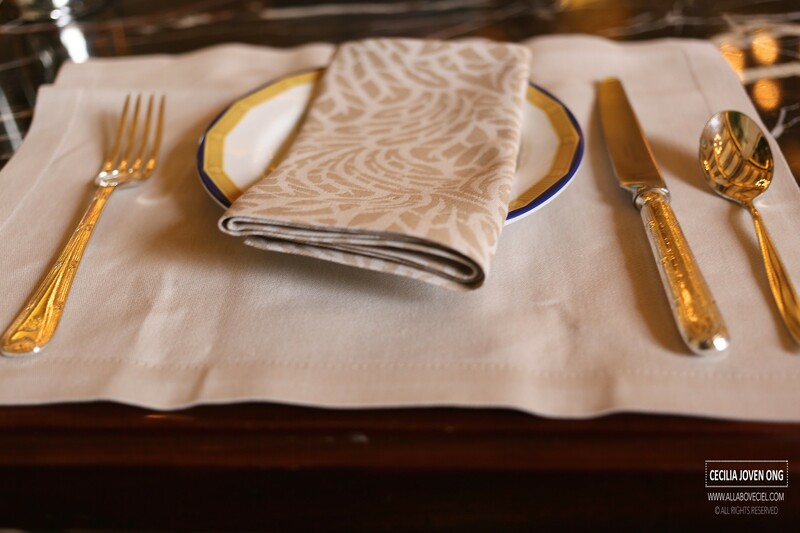 They only started to serve the guests when the time hits 2.00 pm. Menu was presented the moment when you seated, it is a standard menu so nothing much to browse through other than the selection of their tea collection to decide on your choice of tea. I decided to go with their rose flavored tea to go along with their annual 'Peninsula in Pink' campaign that underwent an artistic makeover to become The Act in Pink in support Breast Cancer Awareness in the month of October. And, a donation of HKD $40 will be made to the selected charity organisation. 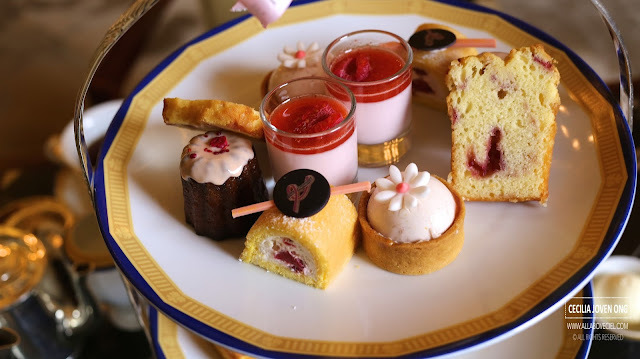 I am always more a coffee person and i do not quite know how to appreciate tea but i enjoyed the lightly scented rose flavored tea very much. 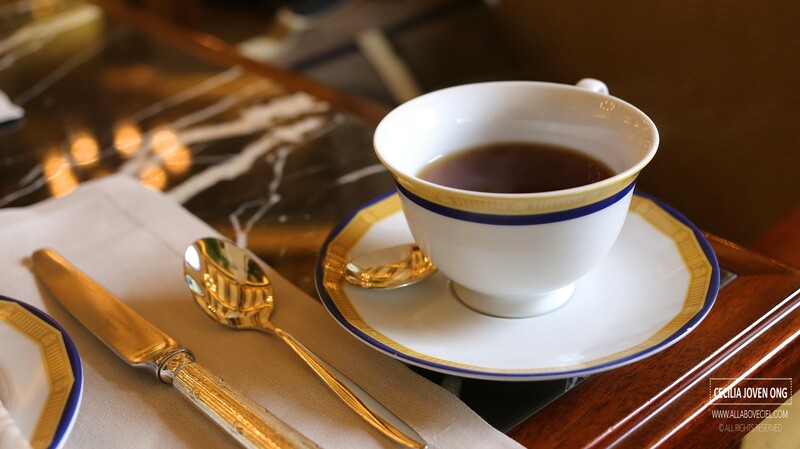 It was served in a silver teapot together with a pot of hot water. The waiting staff came by quite often to check whether a refill of hot water is required. 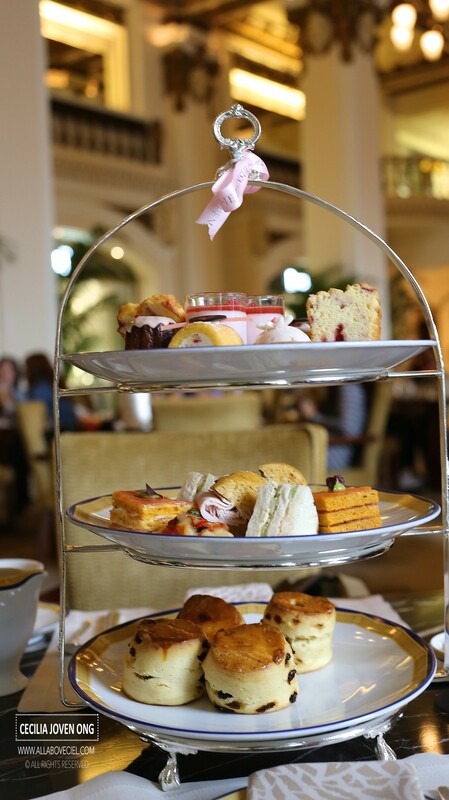 Having their Afternoon Tea is a great way to enjoy a quiet afternoon and to get away from the vibrant life of the streets of Hong Kong. 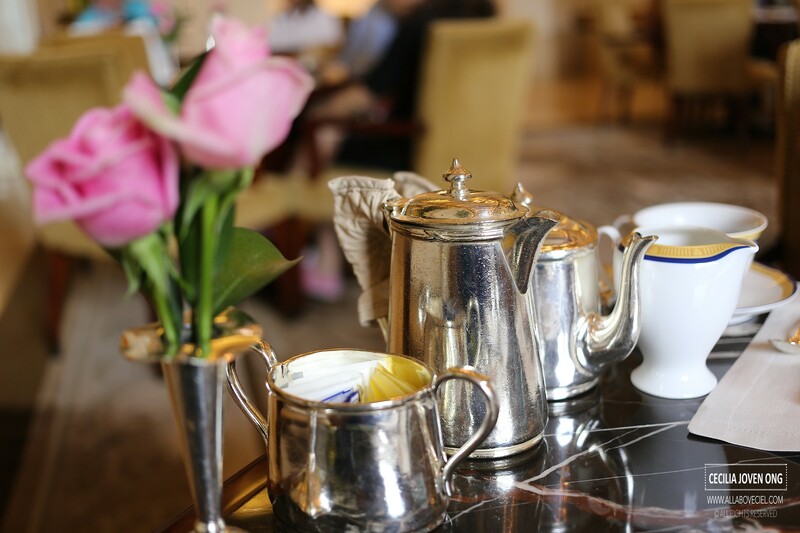 The lobby of this grand hotel is a perfect for people watching while you dwell in the beautiful environment and cosy ambience. 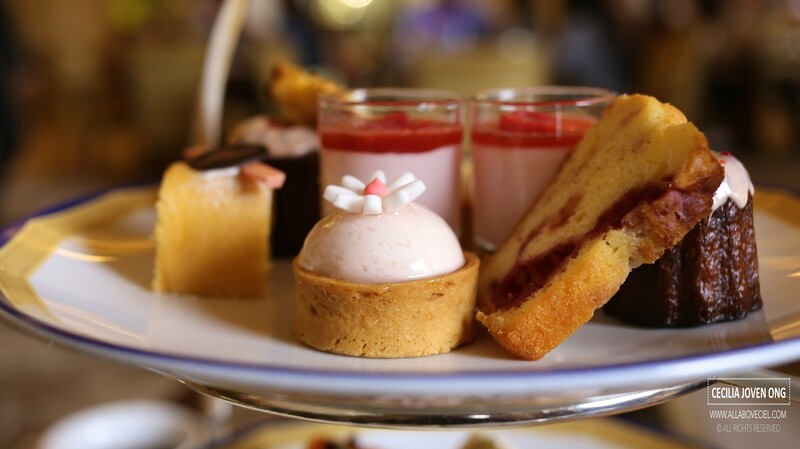 The 3-tiered tray set loaded with of sweets and savouries was served a little while later. The first level of the tray consists of different type of sweet treats which include the different types of lovely pink pastries. Most of it were quite enjoyable though was a slightly too sweet. 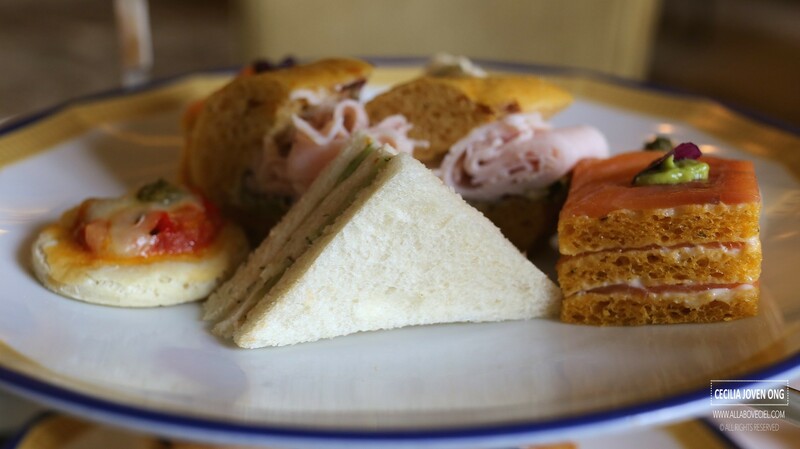 The second level of the tray consists mainly of different types of sandwiches including their famous cucumber sandwich which did not quite impress, the texture of those slices of cucumber was slightly soggy and the bread was a little dry. The rest was quite pleasant though not particularly interesting. These freshly baked scones were lovely and it went extremely well with the jam and cream. I actually enjoyed these scones much more as compared to those sandwiches and pastries. There was still quite a long queue of people waiting to be seated when i left at about 4.30 pm. The pleasant experience is definitely memorable and long lasting as this is a place that you have to visit at least once if you are in Hong Kong, just to experience the services and ambience.